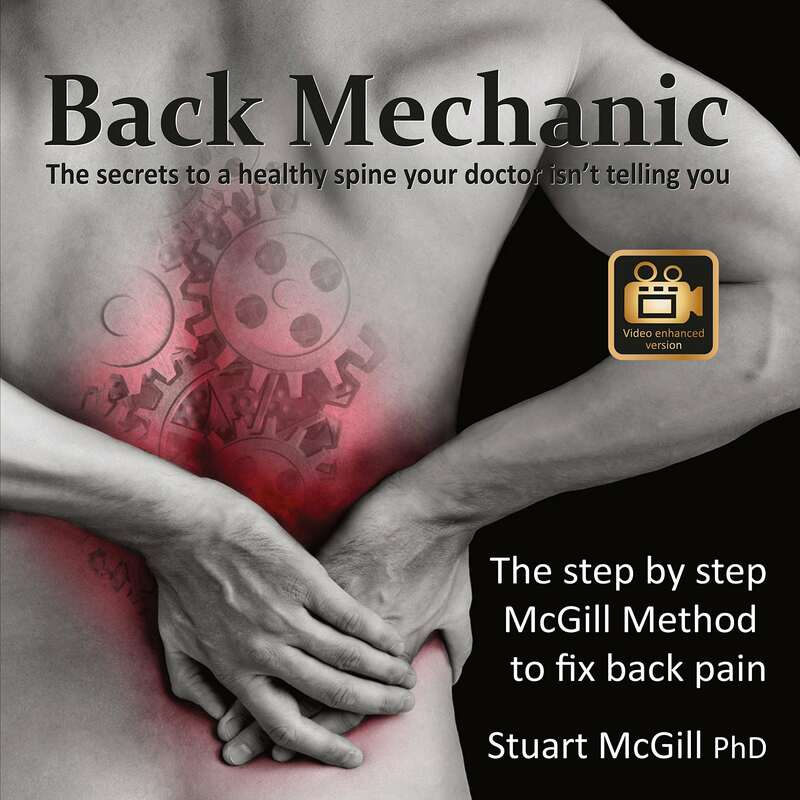 Currently, Professor McGill is the Chief Scientific Officer for Backfitpro, a site dedicated to providing evidence-based information for those looking to prevent and rehabilitate back pain. Although you really don’t need any introduction, for those who aren’t familiar with your work, could you please provide a brief overview of your background and experience with matters of the spine? Well, I was a professor of spine biomechanics for thirty years at the University of Waterloo, in Ontario, Canada. Here we ran two different laboratories and the clinic. One was an in vitro lab where we created injuries to cadaver spines, so we were able to link specific loading regimens with specific types of tissue damage. We would document the damage with various medical imaging and microdissection. Massive damage was documented that did not show on the images. Then the second lab was an in vivo lab where we investigated and probed how people used different muscle patterns, movement patterns, loading regimens, exposures to different loads and the loads on individual tissues. This enabled us to get a one-to-one match with why certain injuries cluster around different sports and different occupations. We also measured spine stability – very few groups in the world ever measured stability. The third element was the clinic where we saw back pained people – they ranged from the very disabled to world-class athletes. It was an experimental clinic where we would try our new assessment techniques, and experimental therapy protocols and measure to see if they were effective or not. The final level of investigation occurred outside of the University where we ran clinical trials and did epidemiological studies. Thus we had several pillars but that is a summary of what I did at the University with my team of graduate students and colleagues. In the beginning, we started with a simple question: How does the spine work? And from there we got into the question of how does it become injured? We investigated and probed the mechanisms and pathways that eventually lead a person to pain and loss of performance. Then I retired from the University a couple of years ago and now I just see patients who fly in from around the world and come to the clinic which just so happens to be at my house. I also put on the occasional training course for clinicians. However, we have two fabulous instructors at Backfitpro in Dr Ed Cambridge and Joel Proskewitz who teach all of the Backfitpro courses. Was it always your intention to become so forward-facing and notable for matters of the spine and back pain? No, never. I never envisioned this – it just evolved. I only ever respond to requests made of me, like this interview for example. I was requested by clinicians and doctors to write books because, as you know, we’ve written several hundred medical publications. It’s very difficult to go through and glean the information and synergise it all together. I was asked to write a textbook to unify my methods and make it applicable for the patients of doctors and clinicians. After that members of the lay public would read a couple of my medical texts and say they were really interesting and it greatly assisted with reducing pain and enhancing performance but so difficult to read, can’t you make the information consumable for us? I wrote Back Mechanic which has become quite successful in guiding the lay public. I’ve never asked in my life to see a patient, they’ve all asked to see me. I’ve been asked by governments and large corporations, sports teams and individual athletes for my opinion. To answer your question, thirty years ago I never envisaged this life at all, it simply evolved from trying to respond to peoples’ requests. Obviously, the foundation of it all was our scientific investigations published in the medical literature. We focused on probing how the back works and the mechanisms and pathways to pain, and strategies to regain pain-free function. This continues through to today. Obviously, each case of chronic low back pain is unique to that patient, but are there any common triggers/patterns that you tend to see across non-athletic patients presenting to you? Yes, but let’s establish this principle first: all back pain has a cause and a thorough assessment will reveal a cause with only very rare exceptions. So, it’s that very thorough assessment that leads to a precise understanding of the mechanism and that’s what guides a precise strategy to address the problem. Let me focus on the key words in the question, you said ‘chronic low back pain’ which is interesting because our work suggests that most people don’t have chronic low back pain. What most have is repeated acute attacks all day long. When we identify a specific pain trigger in that person we then observe them and find that they keep repeating that pain trigger in their movements without realizing it. It’s like hammering your thumb with a hammer, take the hammer away and the chronic thumb pain goes away. So, in many people, not all, that is why they have continuing pain, because of a specific pain trigger that is constantly irritated. Pain pathways form clusters and these form around sports, age groups and different occupations etc. Here are a couple of examples. Let’s take a person who sits at a computer for their job for eight or nine hours a day and then goes to the gym and works out every night for an hour. Soon they get back pain from sitting but that pain is relieved by exercise. Generally, what I’ve described is the character of discogenic pain. If the disc loses a bit of height then the joint will become a little bit loose or it experiences aberrant micro-movements. Those micro movements will quite often link to pain. We’ve just published a study showing this, where in video fluoroscope images, we watch people move through a range of motion where the spine at one joint shears off a little bit in a certain part of the range of motion and that links directly with the pain. If you give that same patient some exercises that stiffen or stabilize their back, what we’ve found, and this work comes from one of my graduate students Ben Lee, is that these specific exercises create a temporary stiffness in the spine. For some people this girdling effect to arrest the micro-movements lasts 20 minutes and for some it lasts two hours. If that particular patient who has those painful micro movements, but experience reduced pain or no pain for two hours after doing the big three exercises (curl-up, bird-dog and side-bridge) then this would confirm that they don’t have non-specific back pain. It is very specific. We would advise that person to do those exercises mid-morning and mid-afternoon and now you’ve created two sweet spots in the day of pain-free resilience. Of course, there are many other elements to a precise intervention but that’s just an example of the exercise part for that particular category. I emphasize that the assessment directed a precise therapy immediately proven to the patient to reduce the pain triggers. This is so psychologically empowering for them. Here’s another example of a pattern, let’s take an older person, someone in my age category, for example, they have quite the opposite in terms of pain triggers. Whereas a young person gets pain relief from walking but suffers pain when sitting down, an older person gets relief from sitting down but experiences pain when walking. There could be several candidate mechanisms, it could still be discogenic pain or may fall more into the category of arthritic bone growth and hypertrophied ligaments, for example. That might be compromising a nerve root space and that person might say their legs go a bit numb after walking for three minutes. Well, the general approach is for that person is to see a GP who might suggest using an exercise bike or walking with a frame or stick. In other words, avoid extension. Interestingly enough, with this specific subcategory of back pain patients, around 50% of the time we find that working the extension range restores their capacity to walk – but it must be done quite judiciously. But when we thoroughly probe the mechanism and effect we will know immediately if the specific strategy is appropriate or not. I know the question was focused on non-athletes but I absolutely see common patterns with athletes as well. Specific sports result in specific stressors. For example, if a competitive CrossFit athlete asks for a back pain consult, they usually fit a specific category. When you examine their regimen, they might do ten burpees for example which is a high motion approach that, in and of itself, isn’t particularly bad but they might follow up with ten Olympic snatches. Putting the two together is the programming concern. On one hand, the ten Olympic snatches require spine stiffness and control but you’ve just counteracted the spine stiffness with mobility from the burpees. But that is the demand of that competitive sport. In contrast, no Olympic style lifter who has competed at the Olympics that I know would train ten reps, rather they would create perfect engrams (movement programmes), perfect movement with one or two lifts. These athletes do not allow fatigued movement patterns to corrupt the perfect lifting engram they are seeking to develop. At a biological level, the collagen fibres of the spinal discs are adapted by chronic load exposure – they can be made flexible with high reps of motion or they can be made stiffer with constrained movement but higher load. They cannot be adapted both ways. To increase resilience the athlete must choose to adapt either spine flexibility or the ability to support high load to lift heavy. Only the rare athlete who is touched by the hand of God can have both. So I can predict the back-pained athlete with demands of mobility and repeated heavy lifts will fit a pattern of having developed a dynamic disc bulge with a posterior fissure through the annulus. The variables of age and exercise programming (combining repeated full spine motion with high repeated load) influence the development of this pattern. Now as another sporting example, let’s take a young powerlifter, they would still be doing heavy lifts but not combining with the ten burpees mentioned earlier. I would expect more vertebral end-plate damage in the young lifter. Many athletes training strength or endurance-strength don’t realise that the typical elite powerlifter, will do a heavy deadlift session and then take five days off. Why? Because the biology of the bone adaptation in the vertebrae requires five days to lay down new ions of bone building material and scaffold them in so they don’t break off, that’s a five-day cycle. Heavy resistance training three days a week is designed for muscle hypertrophy but bone hypertrophy and building resilience to high loads is a much longer adaptation time. Thus body building, or training energy system development is very different from training skeletal adaptation to high load. Violation of this principle, and not creating the compression bearing base will result in a pattern of vertebral end plate fractures. I will also point out that anatomy plays a role here but the relationships can be complex. Gymnasts have a high rate of fracture of the pars interarticularis (or pars for short) resulting in spondylolisthesis. In order to be a competitive gymnast, high spine mobility is needed. Natural selection will retain the athlete with open-angled facet joints to enable twist mobility. But the open angle also imposes more stress on the pars when working into full spine extension. So the anatomical advantage for one part of the sport actually increased the risk for another component of the sport. As specific back injuries cluster around any sport that has the potential to overtrain specific patterns of motions and loads. But great coaches manage training demand, capacity and the biological tipping point between building a body and tearing it down. The work of Professor Tim Gabbett is seminal for further describing the how’s and why’s of training volume to influence adaptation. During all of the years at the University, we followed up with every patient we ever saw. We know the category or cluster they belonged to and who got better over the long term. Our success score was different among the different groups. So their pain patterns could be categorized together with their long-term success. To what extent do learned motor programmes, something which you refer to as an ‘engram’, contribute to back pain symptoms/cases? They’re enormously important. Movement is almost always governed by a habit. I’ll give you an example that your readers will easily understand. Let’s say you wear glasses but you’re out and you’ve forgotten them. You see your friend on the other side of the street but you can’t make out their face clearly but you absolutely know who they are because of their walking pattern. The way that they walk is their movement signature. We all have movement signatures and these are expressions of the engram. It’s the chronic stresses linked to engrams that contribute to many peoples’ back pain. Flawed movement patterns, repeated over and over again, slowly focus a stress concentration to an area of a person’s back. If the person keeps doing this flawed movement, it often will lead to pain and even damage. So that movement engram over time determines the stress patterns and eventually, they’ll cross the biological tipping point – from building their back to tearing it down. Now a curious thing happens, the pain can cause corruption of the engrams. I’ve measured and published this, what we’ll call neurogenic inhibition following hip pain and back pain. For example, we documented inhibition of the gluteal muscles with pain – the engram changed. Thus the person relies on their hamstrings for hip extension rather than their gluteal muscles. Well, that’s problematic for hip health, for someone who has hip impingement, for example. Becoming hamstring dominant is going to contribute because of the line of action of hamstrings for hip extension creates a shearing load into the anterior labrum of the hip. Gluteal muscles counteract this hip shear. So it’s interesting to see the links between the hips and back and how the engrams influence the loading, hip impingement and back stress and pain. I might add that the engrams can remain changed even after the pain is gone, motivating work to restore them. It’s important to assess a person’s movement habits and understand the flaws leading to their pain. It’s the trainer’s job to create exercises that reprogram the flawed engrams that lead to the pain. So many trainers would give their clients deadlifts regardless of their circumstances. Let’s take a new stay at home mum for example with a young child. I’ve had too many patients now, new mothers, who have had trainers giving them deadlifts. But what was more important for the mum was to learn how to pick her child out of the crib. We have measured how great trainers enhance the transfer of movement skill to real life – repeated deadlifts would not be the answer in this example. I’m going to be seeing a person tomorrow who has contacted me and told me she weighs 110lbs and the trainer within three months had her deadlifting 150lbs. That is just wrong. It’s far more important for the trainer not to be programming heavy deadlifts but coach the engram, the hip hinge instead. The trainer caused this patient. We know that trainers have the potential to change clients lives and many have spectacular success. Unfortunately, in my line of work I see the results where their lives were changed – but in the wrong direction! Here’s my proof as to why coaching skill matters. My colleagues Dave Frost, Tyson Beach, Professor Jack Callaghan and I, gave the Pensacola Fire Department different training regimens. Those who had excellent coaching and were shown what their particular stress mechanisms were had few injury markers when measured upon their return to the fireground. Those who simply did the exercises from the trainer had worse movement patterns when back out on the fireground, with more injury risk markers. That’s the only study I know of that proves good coaching and a high skill level in a trainer increases the transference of less stressful movement from the gym to the field. In summary, it’s so important to be aware of engrams that are inappropriate or corrupted. To what extent do you believe psychological triggers like anxiety can influence a patient’s symptoms of back pain? That’s a huge question but a very fair question. There are a few studies that have made good measures of mechanical variables, psychological variables and social variables. There aren’t many of these studies but those that competently measure all three show that mechanical variables dominate for the cause of pain. However, variables like personality and social situation can modulate the pain once it’s started. We usually start by assessing and addressing the mechanical and what we find is that the psychological issues often resolve as the pain decreases. Let’s establish this… we’re talking as though the psychological aspects and the physical aspects are distinct and separate, but they’re not. My good friend Professor Bill Marras at Ohio State University has done some wonderful work where he examined a person’s personality and then subjected them to job stress in an experiment. It involved real factory workers being stressed and getting yelled at by their boss, it sounds strange but this was the experiment. If workers had an anxious type of personality, for example, they contracted their muscles in a response to being yelled at. In other words, they unnecessarily loaded their joints as a response to the stress. Those who had a more confident personality did not experience elevated muscle contraction and did not load their joints. So, this is an example that once again psychology is playing a part and a person’s level of anxiety greatly modulates the physical stress in their body. Without a doubt there’s a brain-body connection, but does that mean we work on the psychological first? It’s generally not our first approach – we deal with reducing the physical cause of pain and as you will find, most often the anxiety that goes along with the pain disappears. Giving the patient the locus of control by showing them how to control the physical triggers of their pain is so empowering psychologically. There are all sorts of components to psychological variables playing a role in back pain and I’ll give you a few examples. You mentioned the word anxiety and it’s interesting because so many patients have come to see me who have had an MRI and some clinician told this poor person they have “degenerative disc disease”. It’s my job to tell them there’s no such thing. They do not have a disease. That’s only a radiological diagnosis from a radiologist who’s never even seen the patient – all they did was look at some features on a screen. They’ve never properly assessed the patient and that’s immoral in my opinion and borderline incompetent. I’ve also heard of the default response from some clinicians telling patients that if the back pain lasts for more than six weeks then it’s psychological in origin. This is absolutely incorrect. A back injury is unlike a broken leg or an injury in other places. When you have an injury to a spine joint, it starts off a cascade. For example, the disc might flatten a little bit, that adds more load to the facet joints and they become arthritic in a couple of years. Then with the loss of disc height, the joint usually develops micro movements that trigger pain. This joint laxity will slowly gristle over more time and the pain reduces as does the available joint motion. It takes several years for that cascade to complete. By that time the joint may look really gnarly on an MRI but the pain may have migrated to the joint above which may look completely normal on a scan but bears the responsibility for more movement. So those who state that back pain lasting longer than several weeks is, by default, psychological, ignore this well-documented cascade. Telling the patient the pain is in their head has resulted in the most anxious and disturbed patients I have had. Yet again, they never received the assessment they deserved. I can only surmise the clinician did not have the skill or the passion to conduct an assessment. Instead of admitting that they were beyond their expertise competency they blamed the patient for psychological issues. This is unforgivable. Let me explain why telling people the pain is in your head could drive you to become a psychological wreck. I had a patient who came to me, and this is only a single example, but it shows how graphic and important this is. This person came to me and said, ‘I’ve been to a physiotherapist, chiropractor and orthopaedic surgeon, but no one could help me. They sent me off to the pain clinic and they said this back pain is in my head and I have to learn how to live with it’. He went on to say, ‘I think it’s in my back and down my leg, but if it’s really in my head then that means I’m crazy and I don’t deserve to live’. He said to me he will commit suicide if I could not make a difference within a week. So, there’s some clinical pressure for you, but I’ll tell you it was the doctors who made this person a psychological wreck, not the pain itself. My assessment showed he had a disc bulge that trapped a sciatic nerve root only when he bent over to tie his shoes for example. After pointing out to him that he could control this trigger by lunging to tie his shoes and hip-hinging to bend forward, he was able to eliminate the trigger. In fact, he never had another trigger. The empowerment he achieved solved all of his psychological issues. I’ve also heard that ‘oh if you coach a person to move in a certain way and avoid certain movements so they don’t trigger their pain they’ll become kinesophobic (excessive fear of movement)’. I’ve only seen this happen with poor movement coaches – their clients would come to me and clearly were afraid to move. Instead, if they went to a competent movement coach they would have been liberated and would have found great confidence in moving in a way that didn’t cause them pain. Great coaches give clients movement confidence, poor coaches give clients fear of movement. Again, it comes down to the competency and the approach of the movement expert. The patients we see are rehabilitation failures, we don’t get the back pain patient who says ‘I’ve got a bit of pain, I better go see McGill’. I get the difficult ones, the ones that have already been to the physical therapists, the surgeon, the chiropractors, the psychologists and then I ask these patients point blank, ‘what did these people do for you?’. It’s so disheartening to hear what they’ve been told. Not a single one of these patients was given a thorough assessment and it turns out that in some cases an assessment from our team revealed pain triggers that were quite easy to resolve. Obviously, there are others with complex issues and multiple pain mechanisms and comorbidities etc. This is so important in the UK with the NHS often defaulting to telling many back-pained people it’s in their head or they just have to live with it. I see the anxiety this causes when I come to London and see patients. In an interview, a patient might say that sitting causes pain and short walks are relieving, so then you’d test their sitting posture. Perhaps upon sitting spine flexion, pain results in the back and even pain down the leg, there might even be numbness triggered in their right toe. That is the pattern of a dynamic disc bulge in L5, there’s not much else it can be. Now with that patient, we’ll probe nerve tensions and pull on specific nerve roots and release them. We’ll reduce the hydraulic pressure on the disc bulge and back pain is noticeably reduced within three minutes or it might even go completely. overlay where movement creates very characteristic swirly pain patterns. I am convinced these people have had their brain rewired through physical or psychological trauma to experience movement and load as back pain. We use the same graded exposure techniques to overwrite the pain-producing patterns with pain-free patterns as would Professor Mosely. But these are very rare cases among the patients referred to us. You can test mechanics with the person right in front of you with regards to what makes them better and what makes them worse. We then use movement to desensitise the pain followed with specific exercise programming to build up a pain-free foundation. We may address some of the engrams corrupted by pain following our documented pain-driven neurogenic facilitation and inhibition patterns. Here specificity, when tuning exercises and dosage to match the patient, can make the difference between success and failure. It’s hard to fathom those studies that give the same exercise program to everyone and then compare the results to other approaches with homogeneous treatment. These studies don’t mimic expert clinical practice. Two of the most commonly tools used to diagnose low back pain trauma are X-rays and MRI scans. Do you believe that these diagnostic tools offer the best outcomes for patients given that they are often reviewed and analysed remotely? It’s a fabulous question but let me provide some background first. Over the years of our investigations in the lab and clinic, we’ve had our own imaging suite. We would create the injuries first on cadavers, we would image them, do quite detailed post microdissections and in that way, we were able to create a one-to-one match with regards to what loads created specific anatomical changes. Interestingly, the damage most often didn’t show in the MRI or the CT. The micro-fracturing of the end plate that eventually leads to disc bulges was never seen on the MRI. These types of changes and injuries only show with dynamic imaging or with our provocative tests. We used video fluoroscopy, real-time time moving X-ray, to watch the spine go through the range of motions, then we would see the pain pathology – most often a dynamic joint micro-movement in a shearing mode. They’re invisible in a static image like an X-ray or MRI. More importantly, we were able to find those with our provocative tests. By provoking the pain we would understand where these micro-movements would occur and then immediately we would go into different engram changes and change the person’s pain. 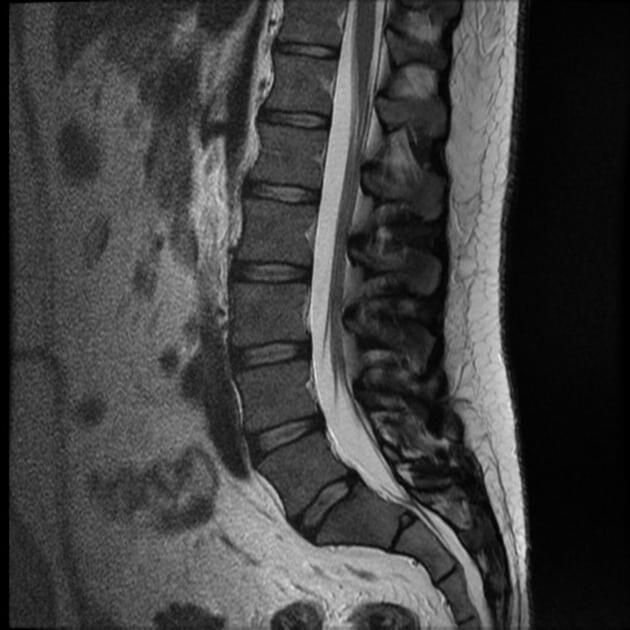 This is why I question current practice with radiologists for back pain. They cannot offer a helpful opinion without first seeing the patient. They’re not trained to link features with spine injury, except the grossest features of spondylosis, for example. 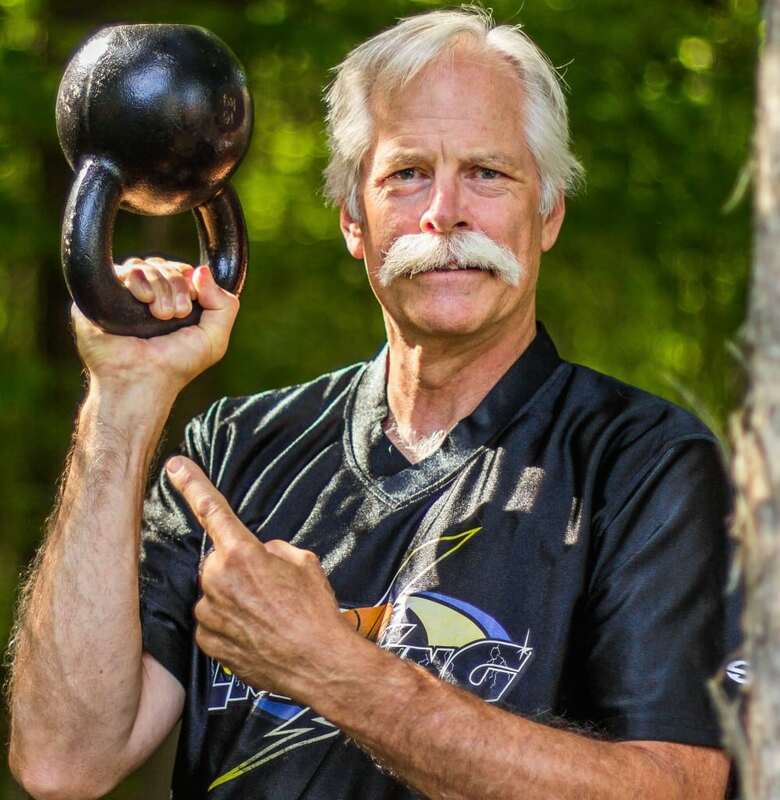 I’ve talked about those grand old men and women of powerlifting who are setting records in their forties. If you sent an MRI of their spine to a radiologist without saying who the patient is, the radiologist would have no clue if they were looking at an office worker or a world-class powerlifter. They would probably write in the radiology report that the person has end plate sclerosis, well that’s not a pathology, I’d call that adaptation. That is the heavy bone adapted from the exposure to high compressive loads. So, you see how it’s critical to actually know the person to be able to offer a helpful perspective of why a person is in pain. Then the radiologists use terrible and irresponsible terms like degenerative disc disease. And I don’t say that lightly, using those words is irresponsible. These patients don’t have a disease and it’s not a degenerative disc. The radiologist is usually good at finding tumours, but sometimes they miss them. We’ve had numerous patients over the years where the results of the provocative testing just didn’t make sense. We investigated a little bit further and it turns out they had a tumour on their spine. It was completely missed by the radiologist, but we only knew to look for them because the patient’s symptoms didn’t make sense. To summarise this point, images in skilled hands with the right patient can be very helpful, but it’s far more important for the patient to know what they need to do to get rid of the pain, rather than knowing what a radiologist might say about their condition. There’s a little bit of a start on the discussion with what’s so wrong with our conventional medical system. It’s estimated that 1 in 10 worldwide has suffered from chronic low back pain at some point in their life. To these people for whom previous medical approaches (physiotherapy, chiropractic and surgery) have failed, what advice would you offer? Is there still hope that they can someday become pain-free again? What’s a person to do? I said in the introduction I never thought I would write a book for the lay public but it was demanded of me and that’s how Back Mechanic came about. There’s no provision within the traditional medical system that will provide a thorough assessment to show why a person has back pain. So, what we’ve done in the book is guide the patient through a self-assessment. I take them through different postures, motions, different loads to show them what’s causing their pain and what they can do to take the pain away. Based on that, alongside a little questionnaire they fill out, the book then guides them on how to stop the cause. That involves a component of moving in a way that doesn’t trigger pain – we call this spine hygiene. It may also involve changing their daily routine or training programs to create tolerable short intervals. After that, we then create very specific exercise programmes which address the cause and build a foundation for pain-free movement. For example, if historically a person triggered an acute back pain attack by bending forward to flush the toilet, then, we would teach them to hip hinge with an appropriate level of muscle bracing pattern thus engineering out all risk of that pain occurring again. This is just another example of how important a skilled trainer is, to teach people these successful movement strategies. With support from experienced exercise and medical professionals, you'll learn the skills to tackle a growing national problem. Click below to discover more. I’ll just summarise this whole discussion with this – can you imagine someone going to a doctor and saying they have a pain in their leg and the doctor then says, ‘well you have non-specific leg pain, do these exercises’. Can you see how ludicrous that is? It wouldn’t happen so why is that happening with backs? The expertise in assessing a leg doesn’t seem to exist with backs, or it’s been forgotten among those assessing back pain. I personally think the NHS would save an awful lot of money if they could harness that expertise and give that person a very precise diagnosis. Finally, do you ever feel pressure when patients come to you, especially when you may be the last resort? It’s a highly emotional process and I’m absolutely exhausted after a session with a patient. I give them 100% of my thoughts and my emotions in trying to understand their pain and provide advice and guidance. The patients I see are already at the end of their rope because of various failed clinical approaches and in my view, they have been abused because they were never given a precise understanding of why they have pain. I feel enormous pressure to get it right. Of course, there are patients who cannot be fixed, but it’s very rare. Usually, we can find quite quickly strategies to reduce their pain sensitivity and regain their activity levels back. It’s an incredibly emotional experience and I do feel an enormous responsibility to get it right. This isn’t a job for me, I’m responsible for changing a person’s life. My hope is that the readers of this interview will work to become masters of the craft. That will include learning the mechanisms of how the biological system works, how to read a patient and interpret their story, how to read images, how to detect the pain mechanisms, how to coach good stress-free movement, and how to program exercise for a pain-free foundation and resilience. The client is owed nothing less.